BALTIMORE (AP) - A federal safety investigation shows the ice protection system was not activated on a business jet that crashed into a Maryland house, killing six people, even though the air temperature was near freezing. The National Transportation Safety Board on Wednesday opened the public docket into the Dec. 8, 2014, crash in a neighborhood near a small airport near suburban Washington. The crash killed the pilot and his two passengers, along with a woman and her two young sons in the house. NTSB spokesman Eric Weiss says the 1,100-page report details all of aspects of the investigation into the crash. The next step is an analysis of the facts, and then the finding of probable cause. GAITHERSBURG, Md. 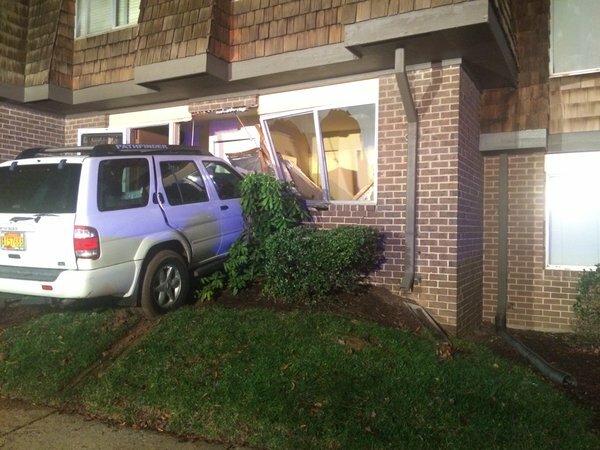 (WUSA9) -- The holiday cheer came to a screeching halt at a townhouse in Gaithersburg Thursday night after one of the men who lives there says he accidentally drove through his own front door. Floyd Gatewood was back at his home Christmas morning to pick up the pieces left behind after he says he accidentally backed into his townhouse. GAITHERSBURG, Md. (WUSA9) -- Dozens of people will donate blood Wednesday in honor of a Montgomery County police officer who died after he was hit by an alleged drunk driver. County police say all 111 allotted spots for the blood drive quickly filled up after police announced their plan to honor Officer Noah Leotta. Police are planning another blood drive in honor of Officer Leotta due to the overwhelming response. Investigators say Reluzco had been smoking marijuana and was drinking at a Hooters restaurant in Rockville for four hours before he hit Leotta. Participants in Wednesday's blood drive will receive a long-sleeve black T-shirt and food or coupons from Buffalo Wild Wings and Chick-fil-A. GAITHERSBURG, Md. (WUSA9) -- A seven-year-old child was hit by a car near Gaithersburg Elementary School on Friday afternoon. According to Montgomery County Police, the accident happened on N. Summit Avenue, near Teachers Way. The child was transported to a hospital with a reported leg injury. This is a developing story and we will release further information as it becomes available. GAITHERSBURG, Md. (WUSA9) -- Family, friends and the community gathered Tuesday to say goodbye to fallen Montgomery County police officer Noah Leotta. Calling hours were held Tuesday afternoon for 24-year-old Leotta. Leotta was hit by a car while working on a drunken-driving task force. He died in the hospital nearly a week later. Friends of Leotta were surprised when the Olney native told everyone he wanted to join the county police force but took comfort knowing he died doing what he loved. His funeral Tuesday was held at the "Covenant Life" Church, in Gaithersburg. He was later laid to rest at the Judean Memorial Gardens in Olney. An hour before the funeral, Montgomery County residents began lining the streets of Downtown Olney to pay their respects.